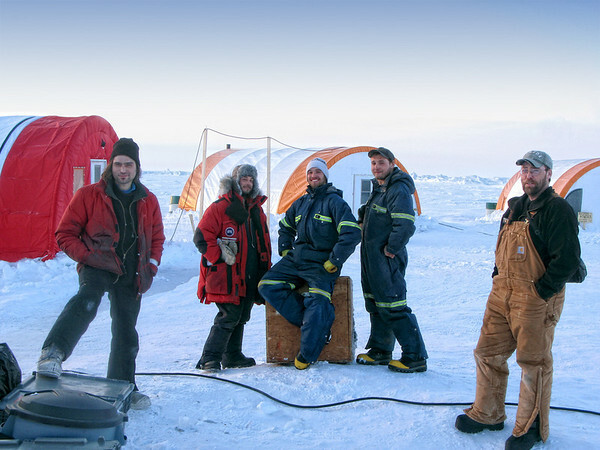 These are the scientists who live at the camp near the North Pole. There are only about 20 scientists and helicopter pilots living there. They are mapping the polar continental shelf.